The Johnson House, a National Historic Landmark, is significant for its role in the antislavery movement and the Underground Railroad. Philadelphia, especially the Germantown section of the city, was a center of the 19th-century American movement to abolish slavery, and the Johnson House is one of the key sites of that movement. 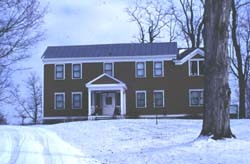 Between 1770 and 1908, the house acted as the residence for five generations of the Johnson family. The third generation was active in the Underground Railroad during the 1850s. Along with their respective spouses, Rowland, Israel, Ellwood, Sarah, and Elizabeth Johnson were members of abolitionist groups such as the American Anti-Slavery Society and the Germantown Freedman's Aid Association. Through their associations with these abolitionist groups, the brothers and sisters became involved in the Underground Railroad and used their home, along with the nearby homes of relatives, to harbor fugitive slaves on their journeys to freedom. The Johnson House is a representative station on the Underground Railroad and the Johnsons among the leading abolitionists of their generation. 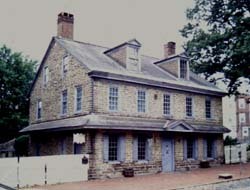 The Johnson House is located in Philadelphia, Pennsylvania at 6306 Germantown Avenue. It is open to the public.